Our meeting facilities have a wide range of services, including video conferencing and free wireless internet access. Meeting rooms are best suited to host seminars, sales presentations, press conferences, and audio-visual presentations. We offer a one-stop meeting solution, guaranteeing you a seamless event, at the best value. 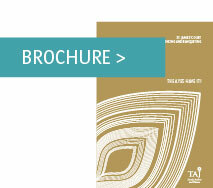 Choose from 16 different venues from the Taj Room to the Executive Boardroom. Most rooms enjoy the benefit of natural daylight. For all events, you and your guests will delight in creative catered cuisine in our unique style. Whether it’s a quiet meeting for two, conference or product launch we have the space and the service to make your event a success. St. James’ Court conferencing and banqueting offers a complete range of business amenities, facilities and business related services. Arrangements can be made for secretarial services, conference phone, facsimile and other communication needs.